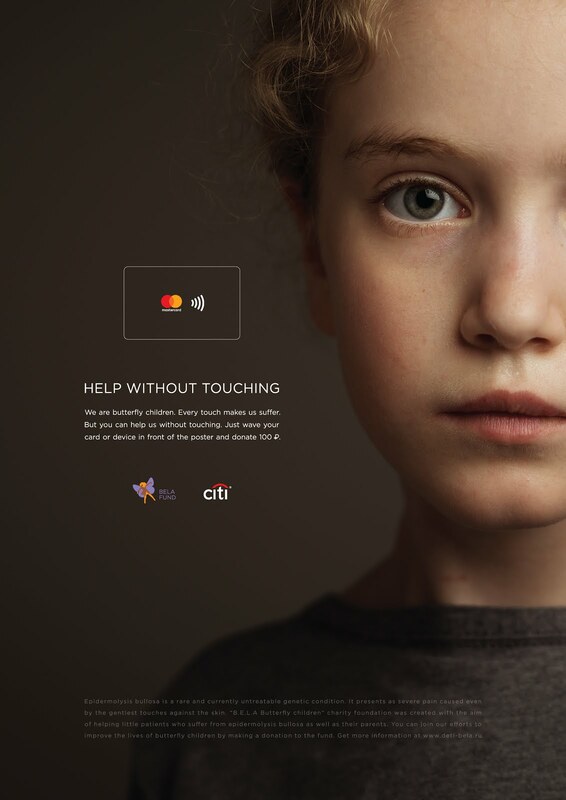 Publicis Russia, CitiBank, and Mastercard created a hi-tech solution to help untouchable children for the fund DETI BELA in Russia. Imagine living a childhood without possibility of running with friends, playing ball in the yard, or even a mother’s embrace. As hard as it is to picture, this is the life of little Nastya, Max and 4,000 other kids all over Russia. They are called “the butterfly children” — those who were born with a rare genetic condition epidermolysis bullosa that occurs once in every 100,000 births. Their skin is so fragile that even the slightest touch causes pain and great damage. However, now with the help of latest banking technologies, people can help the butterfly children without a single touch. In December 2016, Citi and Mastercard launched an initiative — “The Untouchables” — with the aim to help BELA Fund raise donations to improve the lives of little patients all over the country. Even though currently there is no cure for epidermolysis bullosa, there are still ways to support butterfly children and their families in the lifelong endeavour that is living with this difficult diagnosis. 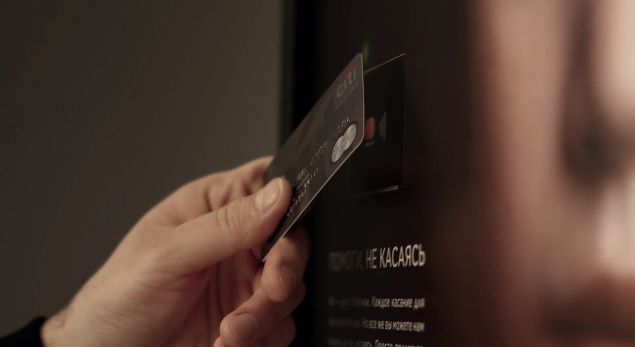 To this end, a series of customized posters with built-in technology of contactless payment has been created. A person can make an instant donation in the amount of 100 Rubles by simply waving a bank card or any other payment device in front of the poster. No touch required. The posters can be found in the most popular 50 places around Moscow and St. Petersburg — restaurants, hotels, shopping malls — as well as in all Citibank branches in these cities. Just during the first weeks of the campaign, the amount of funds raised has increased by 144% compared with the same period last year. The campaign video, shared by most prominent Russian public figures, singers, actors, and athletes, has gathered over 4,5 million views and has reached more than 62 million people. This has fulfilled another campaign goal: increasing mass awareness of the disease, before virtually unknown in Russia.